Is Your Tile Roof in Need of Repair? 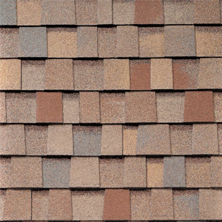 Tile roofs are most often damaged by ice, snow, severe spring and summer storms, and human foot traffic. The most common types of tile damage are broken, disintegrating, or loose tiles, all of which are usually caused by water and ice. Deterioration of flashing, fasteners, or a waterproof membrane can also be attributable to tile roof failure. Never walk on a tile roof to inspect it. Most of these conditions can be visually assessed without the necessity of getting onto the roof and walking on it. To inspect a tile roof without actually getting on it, just use a ladder and a pair of binoculars. Tile efflorescence is an obvious sign of possible tile failure. All roofing tile is not the same. There are clay tiles and concrete tiles. Efflorescence is white staining on the roofing tiles. Softer tiles do not respond well to winter weather and are more likely to absorb water. How clay is vitrified usually controls efflorescence. Vitrification determines how porous a type of tile is. Of course, a more porous tile will absorb more water and will likely have more efflorescence. 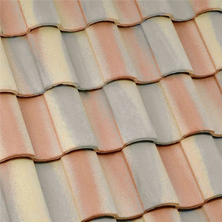 A highly efflorescent tile roof may be a signal that the roof as a whole is failing as it increases the likelihood of tiles breaking or deteriorating. This will ultimately lead to a breakdown of the waterproof membrane underneath. It isn’t broken or deteriorating tiles that make tile roofs leak though. It’s the waterproof membrane that leaks. What happens when the membrane is exposed to the elements is that the membrane deteriorates and causes roof leaks. It doesn’t matter if its cold or hot outside. Ultraviolet rays don’t care about temperature, and those are what break down an exposed membrane. In time, an exposed membrane will be come brittle. Once brittle from ultraviolet rays, wind, rain and ice do the rest of the damage to it. Leaks then develop. If any exposed membrane is seen in a ladder and binoculars inspection, repairs must be made immediately. The fastening system is also a common contributor to tile roof failure. If wooden, the fastening system can rot. If metal, it can rust. Another cause of failure can be the support system for the tiles. Roof tiles are heavy. They require appropriate support. Built up snow and ice can make the roof even heavier. That combination can make the roof sag, damaging the tiles and membrane. 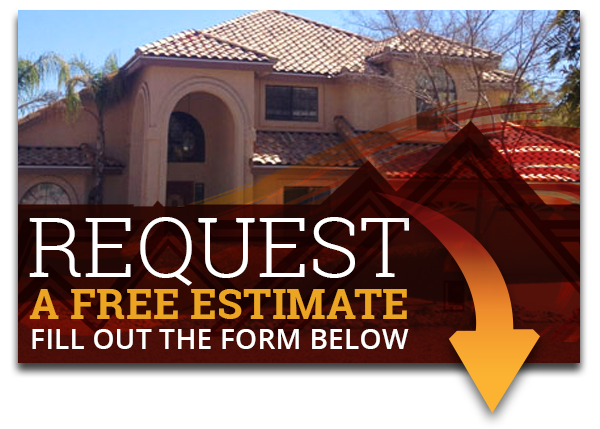 Readjust your Mesa home’s tile roof! 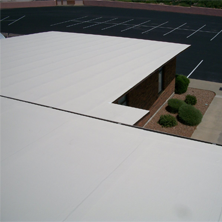 Call Express Roofing LLC at (480) 226-4245 for roofing services.